Ayaan Hirsi Ali signs the National Press Club guest book before her luncheon address, as Club President John Hughes looks on, April 7, 2015. 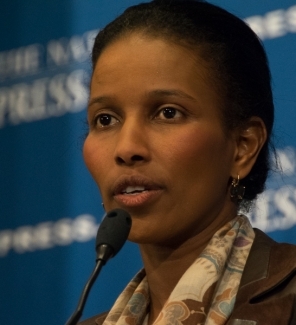 Ayaan Hirsi Ali, a critic of radical Islam, speaks to a National Press Club luncheon, April 7, 2015. 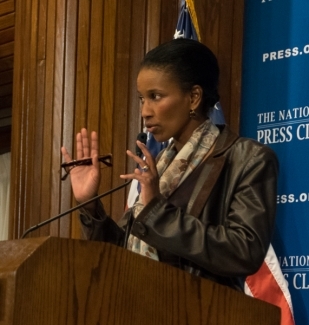 Author Ayaan Hirsi Ali speaks to a luncheon at the National Press Club, April 7, 2015. 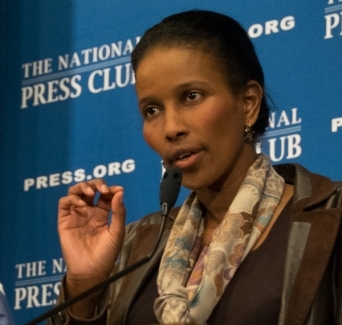 Ayaan Hirsi Ali, author and critic of radical Islam speaks to a luncheon at the National Press Club, April 7, 2015. 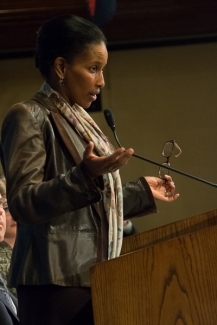 Ayaan Hirsi Ali answers a question from an audience member following her luncheon talk at the National Press Club, April 7, 2015. 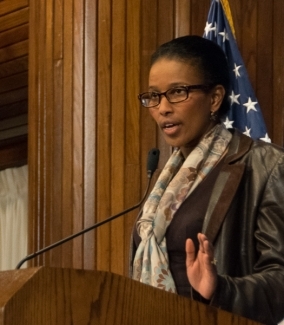 Ayaan Hirsi Ali responds to question from an audience member following her luncheon talk at the National Press Club, April 7, 2015.